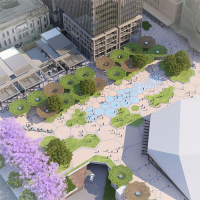 The Riverbank Authority and Renewal SA are excited to announce that the Adelaide Festival Plaza redevelopment works will begin in a matter of weeks. This follows the signing of two key agreements – a development agreement between the state government and Walker Group Holdings Pty Ltd and an early works agreement with SKYCITY Entertainment Group. The early works agreement will allow for construction tom commence on the first stage of the development to lower Festival Drive, separating pedestrian and vehicle access, establishing an at-grade entrance to Adelaide Railway Station and providing the foundation required to support expansion of the Adelaide Casino. The development agreement with Walker will include the construction of an office building and retail area, car park upgrade and redevelopment of the public space in and around the Festival Plaza precinct. Combined with the Adelaide Casino expansion, the projects are worth more than $900 million, and it is anticipated they will support 2500 jobs during construction and at least 400 jobs on an ongoing basis. Of the $430 million pledged by Walker for these works, $40 million will contribute directly to the Festival Plaza and Adelaide Festival Centre redevelopment, in addition to the state government’s contribution of $180 million. 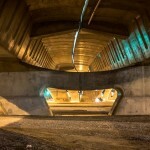 Early works will officially begin in August. The lowering of Festival Drive will enable direct on-foot travel between the Riverbank Footbridge and Adelaide Railway Station, and by separating pedestrian and vehicle access, moving around the Riverbank will be safer for all. 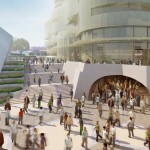 On the northern side of the Adelaide Festival Centre the east-to-west promenade will be widened, and the connection between the plaza and King William Street will be strengthened. This improved access on the river side of the centre also supports the creation of the new northern Festival Centre entry point to enable easier access to performances at the Dunstan Playhouse and Space Theatre. It is anticipated that the redevelopment of the Festival Plaza will be completed in approximately five years and a staged approach to the redevelopment has been planned in order to limit the impact on visitors and local businesses. Soon interactive hoarding will be installed around the precinct to showcase the upgraded plaza design. In the meantime, visit the Adelaide Riverbank website to review the concepts and subscribe to receive email updates on the Festival Plaza redevelopment. Read the ministerial media release for quotes from the Premier, Housing and Urban Development Minister, Walker Corporation Chairman, SKYCITY Entertainment Group Chief Executive, and CEO and Artistic Director of the Adelaide Festival.